Drs. Larry and Nancy Bronstein, partners at Mahaiwe Chiropractic and Health Services present a talk with Q&A about the Emerging Models of Wellness Care vs. Disease Care. The Drs Bronstein focus is on finding the root cause of the patient’s ill health. Thus, in addition to standard diagnostic exam procedures and lab tests, functional lab tests are used to detect food sensitivities, heavy metal accumulation, intestinal parasites and nutrient deficiencies. Their treatment recommendations may include any one or a combination of the following: chiropractic care, soft tissue and myofascial work, cold laser, acupressure, dietary changes, stress management, exercises, supplements, homeopathic remedies, herbals, or digestive enzymes. Drs. 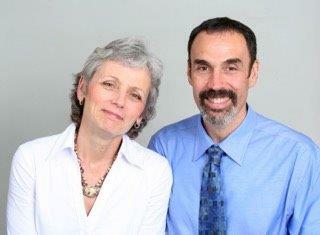 Larry and Nancy Bronstein have been in practice in Great Barrington for over 25 years. They are board certified in Nutrition and Internal Disorders respectively. They are the only chiropractors in Berkshire County with these certifications. Dr. Nancy Bronstein is also a Certified Medical Examiner for the Department of Transportation.